Let’s take a minute and imagine a scenario. 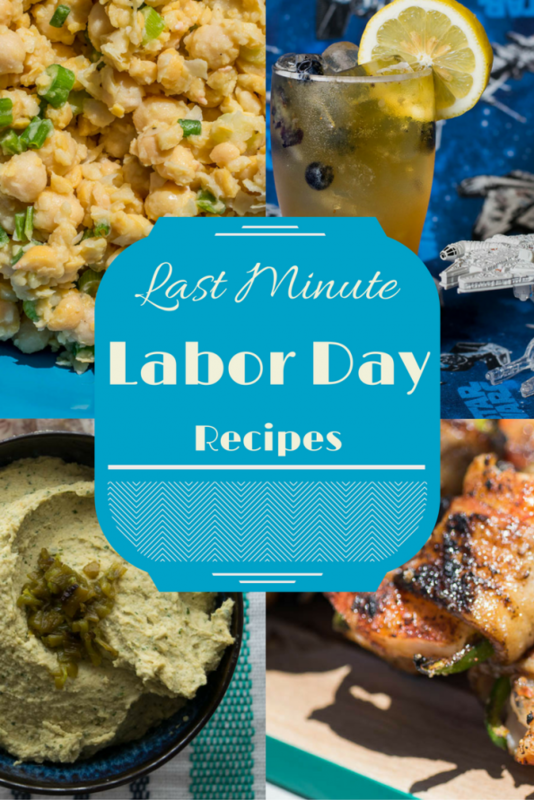 It’s the Friday before Labor Day weekend, you’ve been invited to a bbq but have no idea what to make! Queue the panic! Don’t worry, we’ve got you covered! Below are 4 recipes that are not only quick to put together, but are delicious and sure to impress! 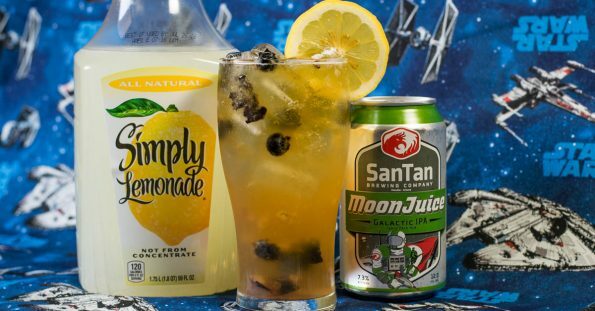 Shando Calrissian: A Star Wars Inspired Shandy– Every good bbq starts with a good drink. With summer winding down, its the perfect excuse to get one last shandy in. Why not make it a Star Wars inspired one? 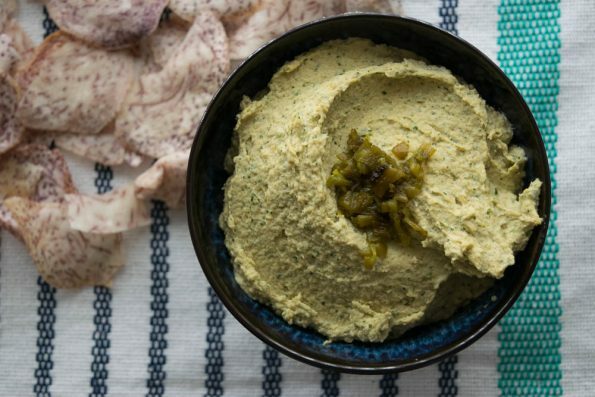 Hatch Chile and Cilantro Hummus– With Hatch Chile season coinciding with Labor Day this hummus is not only going to be a hit, but it is seasonal as well. Get your appetites going with a little New Mexico inspired heat that even Bobby Flay would be impressed with. Grilled Jalapeno Bacon Wrapped Shrimp– The great thing about this recipe is that it can be served as an appetizer or an entree with a side (hint: that’s coming next). Be warned though, we have served these a few times and they go quickly! 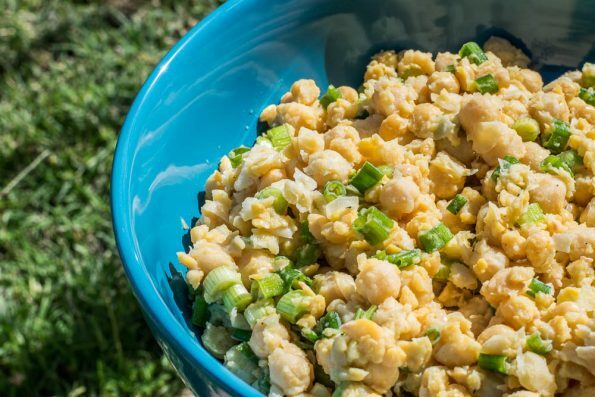 4 Ingredient Chickpea Salad– This vegan and naturally gluten free salad is quick to make and inexpensive. It can literally be put together in about 5 minutes. It needs to set longer than it actually takes to make it. It also can be seasoned in a variety of ways to make it your own. So there you have it. 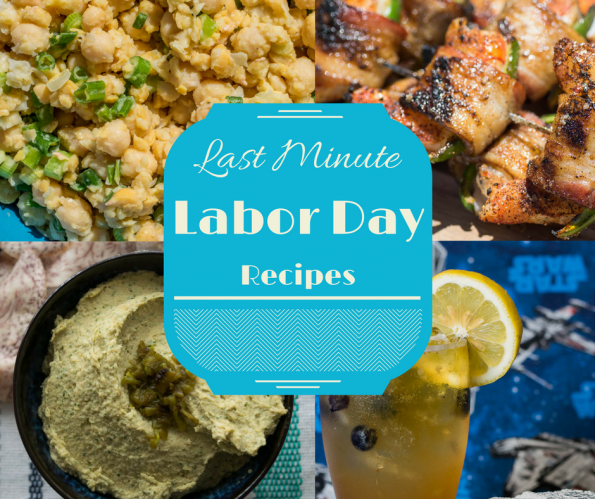 4 recipes perfect for that last minute Labor Day party (or heck, weekend grilling get together). We hope everyone has a fun and safe weekend! How will you be celebrating? We’d love to know! Leave a comment below or use the hash tag #GeekEats. Happy Labor Day! Can’t wait to try the chickpea salad!